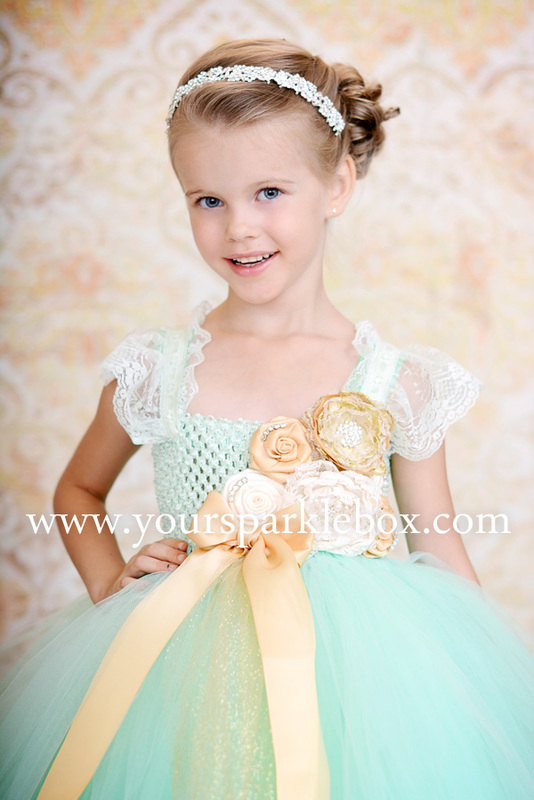 This lovely dress has a hand dyed vintage mint bodice with handmade flowers in gold glitter and ivory. This dress is 32 inches in length (This would be armpit to the bottom of the dress if you are measuring your little one) and will fit a 20-25 inch chest comfortably. Ships within 2 business days of cleared payment.